I photographed this ornamental cherry tree just starting to blossom the other day - one of the loveliest sights of the springtime. In Japan, cherry blossom symbolises the ephemeral and transient nature of life because it is so beautiful, but lasts such a short time. 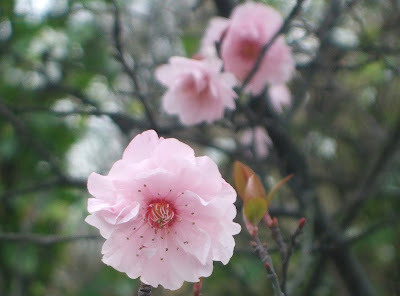 Cherry trees have great cultural importance in Japan. People hold flower viewing parties when the trees are in bloom and also like to picnic under the falling cherry blossom - a centuries-old tradition called "Hanami". Thanks for sharing your pic , Bad , it's beautiful. There's a reaaly gorgeous ornamental cherry tree in the centre of Aviemore , but I think it will be at least a month before we see flowers here .